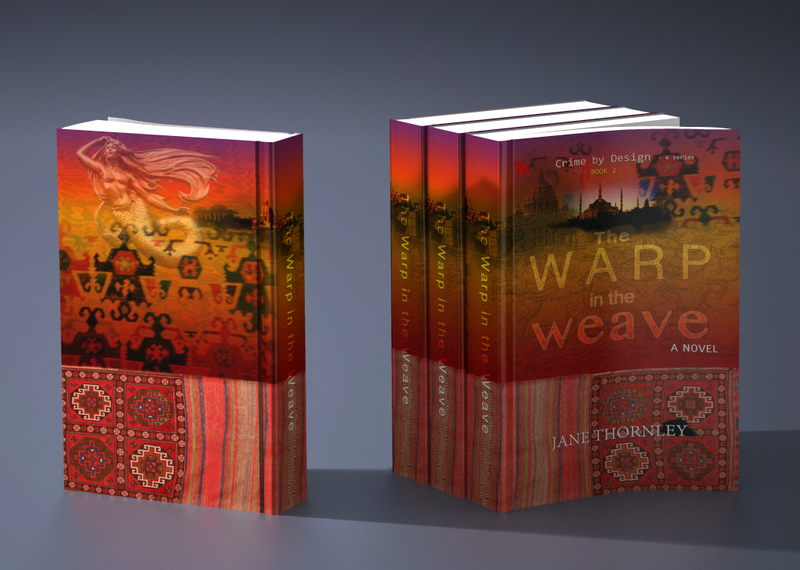 Book jacket design for author Jane Thornley. 2nd book in the Crime by Design Series. The Warp in the Weave made it to the Amazon's best sellers list in both the Mystery and International Mystery and Crime categories.